Living from the head/mind has made most of our lives stressful. 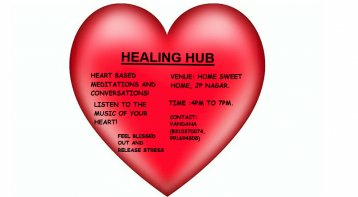 Experience and explore powerful heart meditation sessions with me. Feel more relaxed, peaceful, joyous, playful and know the way of the heart. How about living life from the heart? ✓ Dive into heart space open your heart to love, peace, joy, happiness, and playfulness. ✓ Experiment powerful heart meditations, feel yourself blissed out, releasing all stress. Vandana has been through many traumatic and depressing situations in her life which was inconceivable for a person like her. Being naive, gullible, and suppressed she experienced pain and emotional turmoil that devastated her life and put her into deep misery. Lost and confused she fell into the valley of emotional breakdown, was utterly heartbroken and attempted suicide. However, her life took a turn once she was pulled into enquiring about the inner self. She was attracted to the spiritual quest, explored many meditation techniques, and developed courage and strength. Breaking the societal norms and listening to the small voice within, she followed her intuitive guide henceforth. Through meditation, she was completely transformed and was able to live a fearless life, ready to take on new challenges with more enthusiasm and zest. 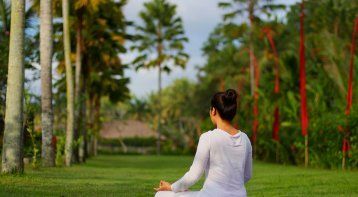 Accepting life with awareness, love, and peace, she started travelling alone, conducting self-awareness workshops for the corporate sector, teaching meditation, and healing as many people as possible. Exploring life and its variety, she experimented with more than 100 meditation techniques that allowed her to explore unknown dimensions, leading to a mysterious life. It was through this that she discovered her true purpose in life which brought a lot of clarity, deep understanding, foresightedness, peace, and joy to her. She is now driven to help and share her experience to touch and change lives of more than thousands of people. Being open-minded and friendly with a unique teaching style coupled with the ability to deeply connect with my students is what allows the people who walk into my sessions as strangers to walk out feeling like they have found a life-long friend and mentor. Vandana's mission is to spread awareness and love, help people to live a conscious life, more truthful and authentic life. In short, she would like to TRANSFORM LIVES. 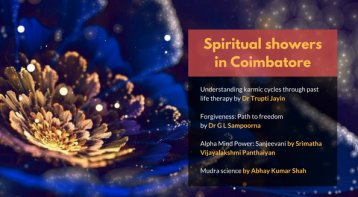 Life Positive Spiritual Fest - Coimbator. 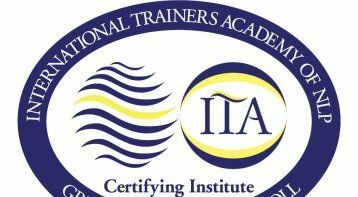 . .
New Code NLP - Internationally Certified. . .
NLP Core Skills with Abhay Thakkar - Ban. . . Please call our expert, Ms. Gayatri Bari, on 9916948008. Please note that our experts accept calls between 10 a.m and 7 p.m only.